Research and evaluation are important tools for managing Alberta’s historic resources. They help us to set our strategic plans and policies for the future, understand how our grants and programs are working and measure the impact we have made – both on historic places and the people who enjoy them. The oldest known building in Alberta still on its original foundation is the Clerk’s Quarters at Fort Victoria near Pakan, which dates from 1865. 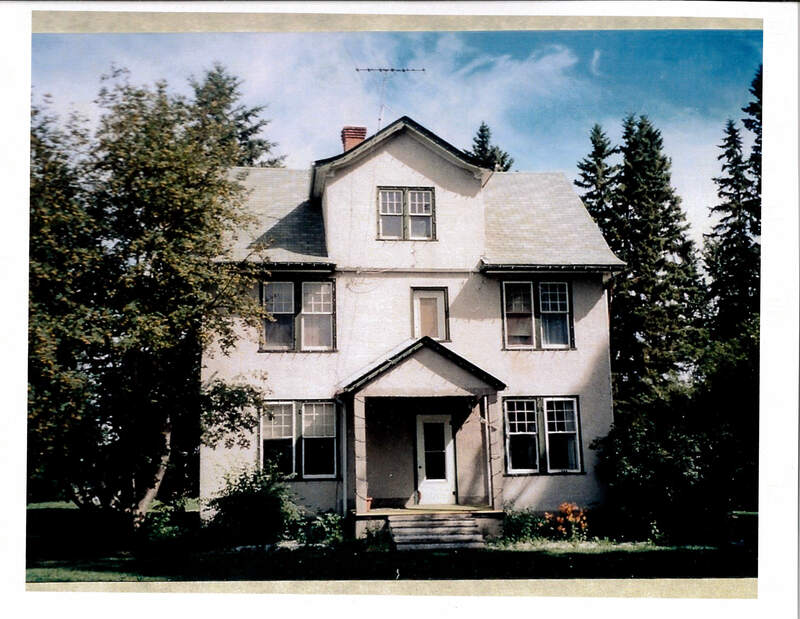 The Historic Resources Management Branch looks after the Alberta Register of Historic Places which as of January 29, 2014 includes 219 places recognized as Municipal Historic Resources and 359 places recognized as Provincial Historic Resources. Some places carry both types of designation, like Calgary City Hall (listed as both a Municipal Historic Resource and a Provincial Historic Resource). The first building recognized as a historic resource was the Bitumount Site at Fort McMurray on 4th December 1974. The McLaughlin-Nelson Home is the most recent addition to the Alberta Register of Historic Places. The most recent building to be added to the register was the McLaughlin / Nelson Home in Spruce Grove. Since 2000 the number of places recognized with a designation has increased: 41 percent of all Provincial Historic Resources designations and 84 percent of all Municipal Historic Resources designations occurred during this period. 2001 and 2009 were important years for Provincial Historic Resource designation: 17 buildings were listed both years. For Municipal Historic Resources 2009 was an important year: 45 buildings were listed. With 58 Provincial Historic Resources in Calgary and 48 Provincial Historic Resources in Edmonton these two cities have the most in the province. This is followed by Lethbridge (12), Fort MacLeod (9), and Medicine Hat (8). 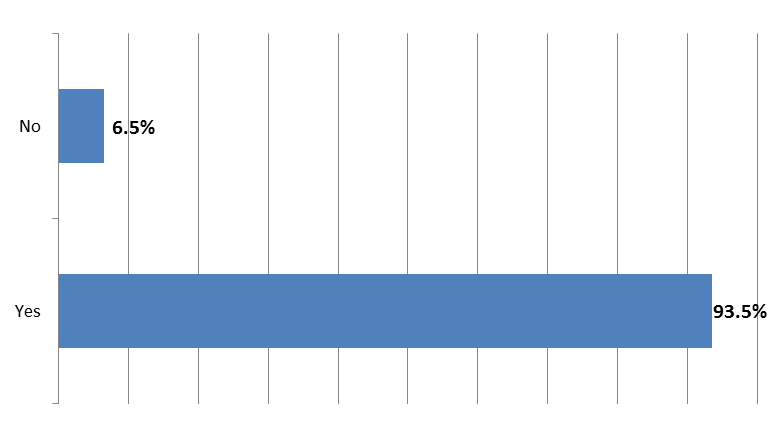 Edmonton has the most Municipal Historic Resources with 91 in total, where Calgary has 35. 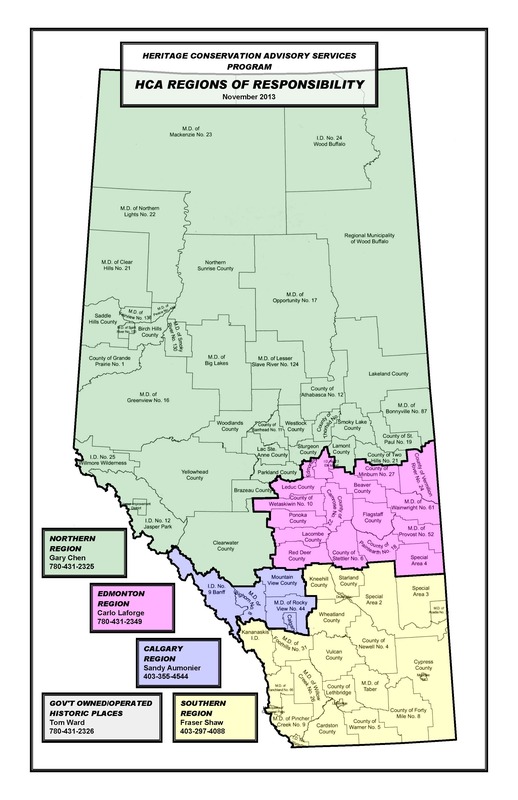 This is followed by Red Deer (11), Banff (8) and Wainwright (8). Approximately 20 percent of all Provincial Historic Resource and Municipal Historic Resources in Alberta are used as residences. 67 percent of these buildings are single family dwellings. 66 percent of all designated single family dwellings are located in Edmonton, where the property value of residential buildings designated as Municipal Historic Resources ranges from about $215 000 to $1.3 million. Approximately 19 percent of all buildings designated as Provincial Historic Resources or Municipal Historic Resources are used for commercial purposes. 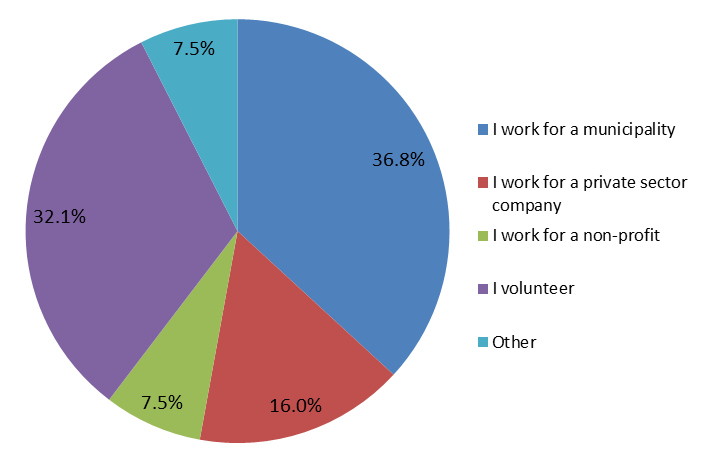 35 percent of these are used as offices and 32 percent are used for retail or wholesale. Historic buildings are also used for other purposes such as: agriculture, community use, education, government, health care, industry, leisure, spirituality, or transportation. As of December 2012, there are 606 buildings which have been identified as places of interest by municipalities across Alberta. Each requires further research and evaluation to determine if it should be designated as a Municipal Historic Resource. With a collection of over 750 historic resources, it is important that funding is available to help their owners look after these precious places. 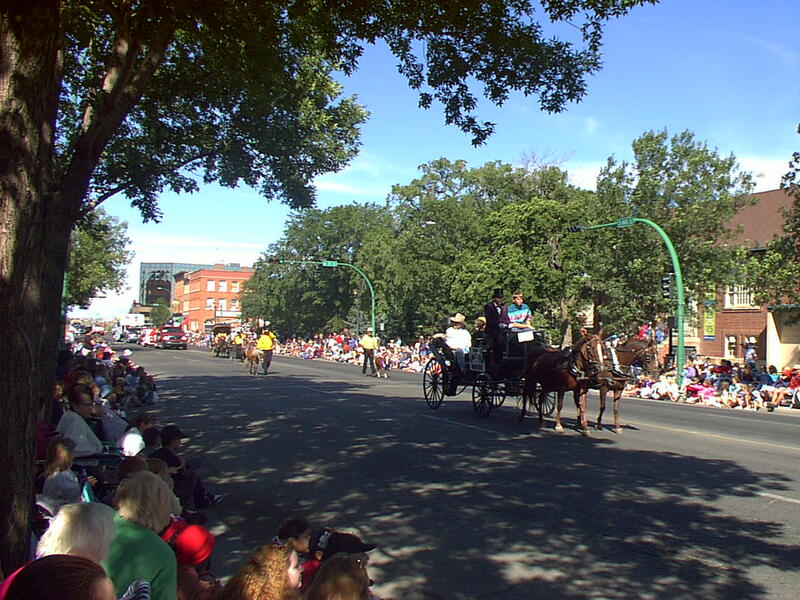 In 2012-2013, grants of $4.9 million were given by the Ministry through the Alberta Historical Resource Foundation to conserve the province’s heritage landmarks. Get to know Alberta’s historic resource a bit better by visiting a Provincial Historic Site, Interpretative Centre of Museum or having a walk around your city or town. Historic resources are often easy to spot as many have been recognized with a plaque or interpretation panel. You can also search online for buildings recognized in your community by visiting the Alberta Register of Historic Places. If you think there is a building or site in your community that should be recognized but isn’t, talk to your municipality about how it can be protected for the future. This morning in High River the Honourable Heather Klimchuk, Minister of Culture, announced significant new funding to assist owners of historic properties affected by 2013’s catastrophic floods. 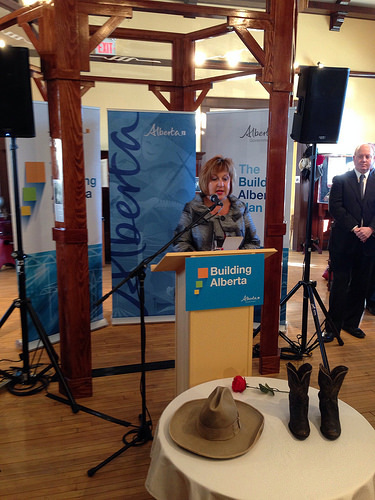 Minister of Culture, Heather Klimchuk, announces funding for flood-impacted historic resources. The announcement took place at the Museum of the Highwood, a Provincial Historic Resource, which suffered damages to its historic fabric as well to the artifacts and archival collections stored within. $4.5 million will be invested to provide needed support on conservation projects, for flood–related work not covered by Disaster Recovery Program or insurance. This support is for designated Provincial and Municipal Historic Resources affected by last year’s flooding. In addition to the Town of High River, communities such as Calgary, Medicine Hat, Canmore, as well as several others, were hit hard, with historic properties adjacent to major waterways significantly impacted. 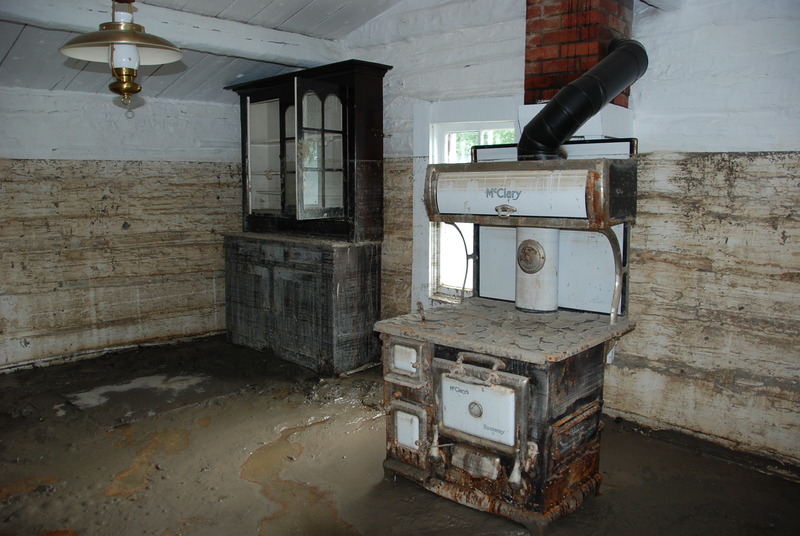 Flood impacts to the Maccoy House, a Municipal Historic Resource, in High River. This new support program will aid in the critical work needed to ensure that flood-impacted historic places are appropriately rehabilitated according to the Standards and Guidelines for the Conservation of Historic Places in Canada. For more information on this funding program, please contact Carina Naranjilla, Grants Program Coordinator, at 780-431-2305 (toll-free by first dialing 310-000) or via email at Carina.Naranjilla@gov.ab.ca. $6 million will go to support the conservation of artifacts and archival materials at museums and archives affected by flooding. Funding will be administered through the Alberta Museums Association and the Archives Society of Alberta. For more details on the funding available to flood-impacted archives, please visit the Archives Society of Alberta webpage or contact Rene Georgopalis, Executive Director and Archives Advisor, at 780-424-2697 or reneg@archivesalberta.org. More details on the funding available to flood-impacted museums can be found on the Alberta Museums Association webpage or by contacting Alexandra Hatcher, Executive Director and CEO, at 780-424-2626 (ext. 224) or ahatcher@museums.ab.ca. Flood impacts to a highly significant archeological site in southern Alberta. 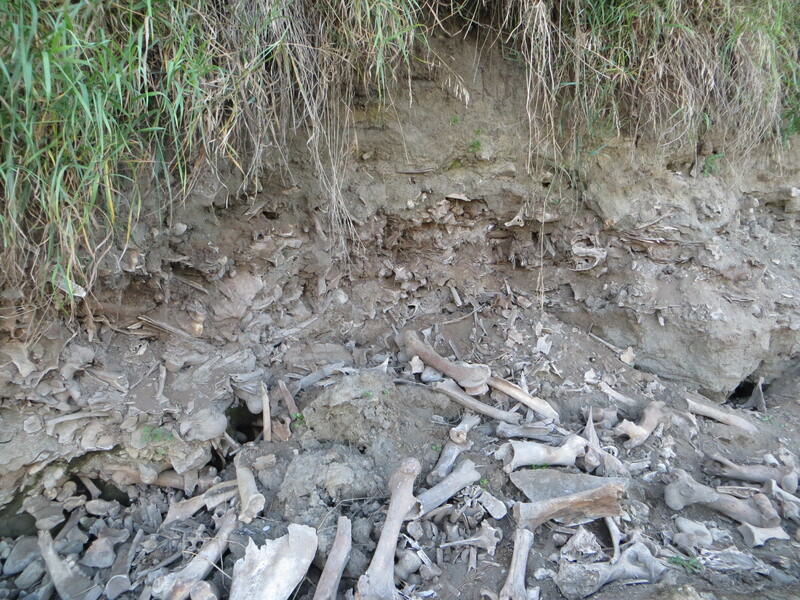 A number of significant palaeontological sites were exposed as a result of the floods. $1.5 million will support existing Alberta Culture programs to collect fossils and artifacts as well as establish protective measures for archaeological and palaeontological sites affected by flooding. This funding will ensure that these heritage treasures and the remarkable history they represent will be preserved and passed on to future generations. We recently asked for your feedback regarding a possible joint conference with Heritage Canada The National Trust in 2015 and received over 100 responses. 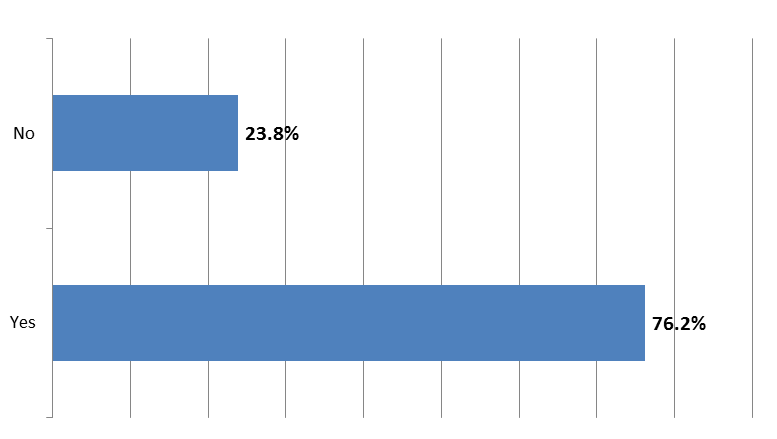 Here are the results (click on the image to enlarge). How are you involved with heritage in your community? Have you previously attended the Municipal Heritage Forum? For those that attended, how were your travel costs covered? Would you be interested in attending a joint conference? What would you/your employer/your organization be willing to pay to attend a joint conference? 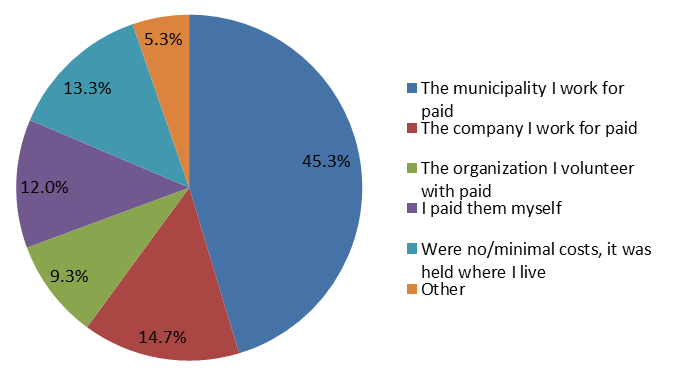 Of those willing to pay $400, the majority of respondents work for municipalities (66%). 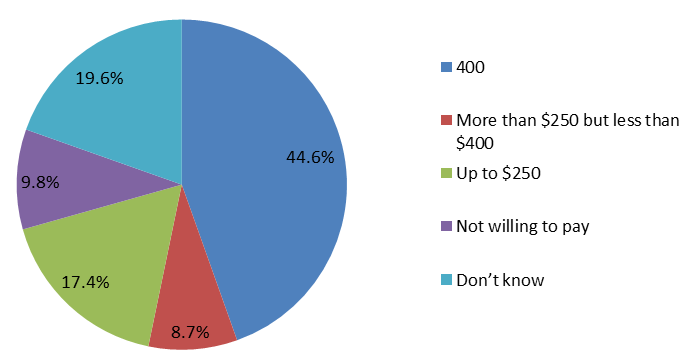 Of those willing to pay up to $400, the majority of respondents work for municipalities or are volunteers (38% each). When asked for additional feedback, respondents indicated that the joint conference would provide opportunities for networking and would widen the scope of knowledge in Alberta communities. There were some concerns about the content not being as applicable to Albertans and that the cost would be challenging to cover. Questions were asked about different types of rates (group rate, volunteer rate, student rate, conference grants) and whether there would be opportunities for Albertans to submit conference proposals. Based on the feedback received we now know that there is a great deal of support and interest for a joint conference with Heritage Canada in 2015. We also have helpful information as to what different groups are willing and able to pay. We will use this information, as well as some of the suggestions brought forward, to proceed with our planning for the event. Thanks once again for your contributions! And last but not least, the winner of our draw for a 2014 Family Annual Pass to visit Alberta’s Provincial Historic Sites, interpretive centres and museums is Brian Vivian with Lifeways of Canada Ltd. Congratulations, Brian! This is the first of a series of interviews with people working in different program areas of the Historic Resources Management Branch. Recently, I sat down with Matthew Francis, Manager of Municipal Heritage Services, to discuss the work of the Alberta Main Street Program. Matthew Francis, Manager, Municipal Heritage Services. Matthew Francis joined Alberta Culture in 2005. 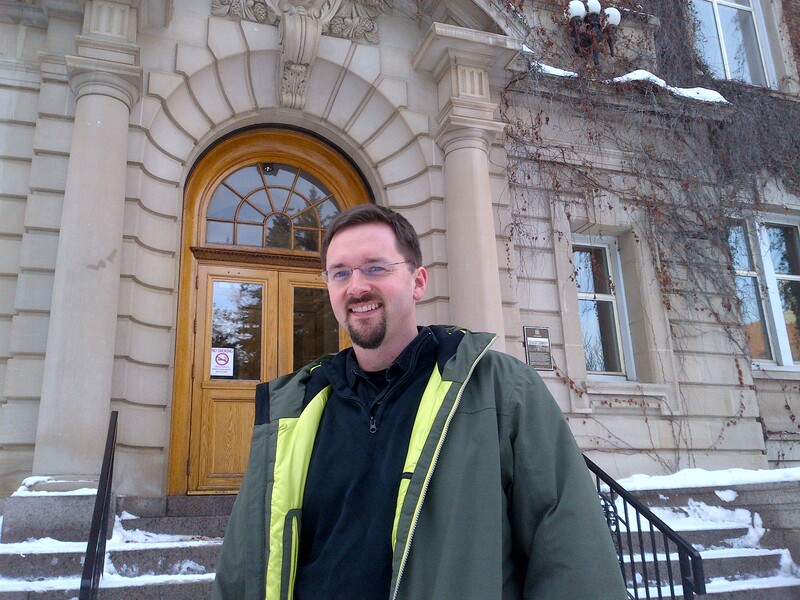 He was originally hired to write Statements of Significance for Alberta’s Provincial Historic Resources and later took on the leadership of the Municipal Heritage Partnership Program. In 2007, he was placed in charge of the Alberta Main Street Program. He soon realised that his first task would be to make the program more sustainable. The program was 20 years old in 2007. It had rehabilitated 23 historic commercial districts with tremendous results, but was showing its age. Due to changes in federal-provincial job training programs, the Alberta Main Street Program could no longer conserve buildings with its own workforce. At the same time, the federal and provincial governments were rethinking how to conserve historic places: a new values-based approach to historic preservation emphasised that understanding a historic building’s architectural or historical significance is necessary to conserve it properly. As a result of these changes, some of the program’s common practices no longer made sense. Indeed one of the basic tenets of the program—that each community was in the program for three years and then continued the work on its own—wasn’t working. “Many of the original Main Street Communities were seeking readmission to the program–not realising they had already completed it a decade or more ago. I call that main street amnesia,” says Matthew. How do you revitalize an innovative program (that was never just about heritage conservation). As he learned more about it, Matthew quickly became fascinated by the variety of problems the Main Street Program had been used to solve. “The communities applying to the program weren’t just looking to conserve buildings, they were trying to entice businesses to move downtown, they were trying to increase the property tax base, and some were even grappling with vagrancy and petty crime.” Although ostensibly focused on conserving historic buildings, doing so successfully proved more complex than simply repairing a foundation or touching up a façade. Recently, Wainwright used the Alberta Main Street Program to cope with the disruption caused by a deep services project—the closing and tearing up of the street and sidewalks to replace disintegrating water, sewer and utility lines. While necessary to maintain municipal infrastructure, deep services projects hurt the businesses that temporarily lose the use of their main entrance. Matthew has come to see the Alberta Main Street Program as a philosophy and a movement, not simply as another government service. The streetscapes and buildings in historic commercial areas are part of each community’s character. During the last several years, Matthew has been remodeling the Alberta Main Street Program, using the (U.S.) National Trust for Historic Preservation’s Main Street Program as a model. The U.S. Main Street Program is organised around four equally important ideas: organisation, design, marketing and economic development. The historic places on main street are irreplaceable assets. People come to see the historic places as landmarks; the historic building set downtown apart from a mall, and often the neighbouring town as well. “New buildings are fine, so long as they are compatible with the historic streetscape and don’t falsify it. The compelling streetscape is what initially attracts visitors to the downtown,” he says. The businesses on successful main streets coordinate their marketing, recognizing that most visitors won’t bother coming to visit just one shop or restaurant. “New trends in social media drive traffic to businesses and historic communities are capitalising on this new way of doing business. All of our Alberta Main Street communities are using platforms like Facebook and Twitter to see and be seen,” says Matthew. Over the long run, historic main streets areas pay their own way. Tenants in the historic buildings pay for much of the cost of a building’s upkeep; the business owners together pay for the marketing and design work, either directly or through their property taxes. Investment in conservation and marketing pays off as an increasingly large number of people want to live and do business on Main Street. 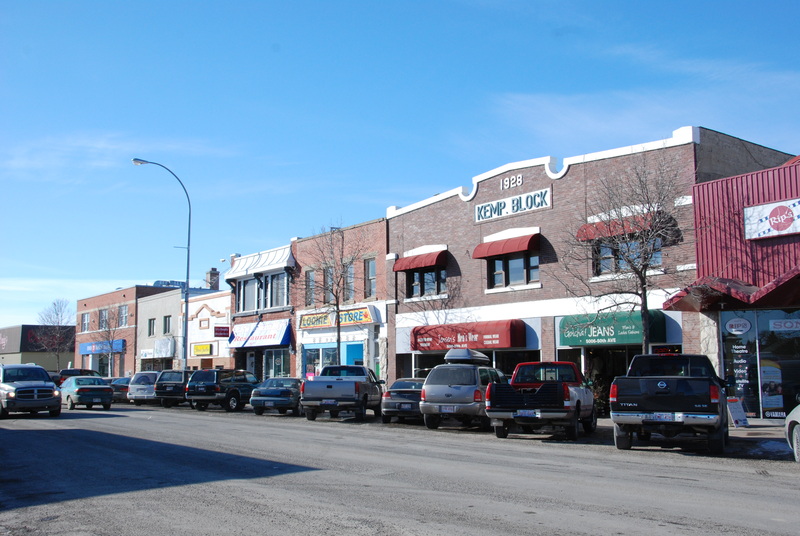 Since 2007, the Alberta Main Street Program has grown into a network of communities. Matthew is constantly impressed by the grassroots support for Main Street in each community the program works with; he’s also been amazed by the variety of problems these communities have tackled through the program. He gets excited when talking about what has been accomplished. Camrose rejoined the program very recently. They will be hiring a Main Street Coordinator shortly. Like all Main Street communities, they completed an inventory of historic places on the main street before being admitted into the program. 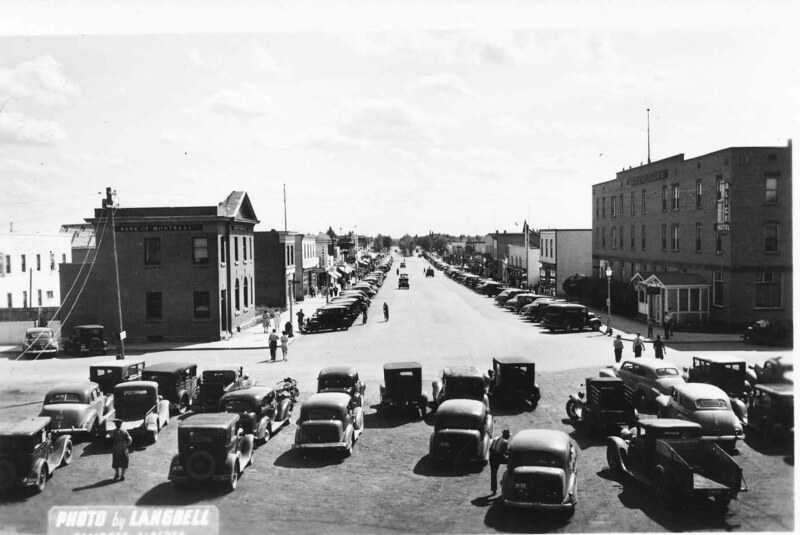 “The deeper understanding of their historical places which they gained through this heritage planning project, will inform their new work in Historic Downtown Camrose,” says Matthew. Two Municipal Historic Resources in Uptowne Olds are undergoing multi-year conservation projects: the Maybank Drug Store and the Kemp Block and these should be done by July. Like Wainwright before it, Olds will also be undergoing a major deep services project once the ground thaws. Having completed their deep services project last year, Wainwright will be finishing up the redevelopment of their streetscape. 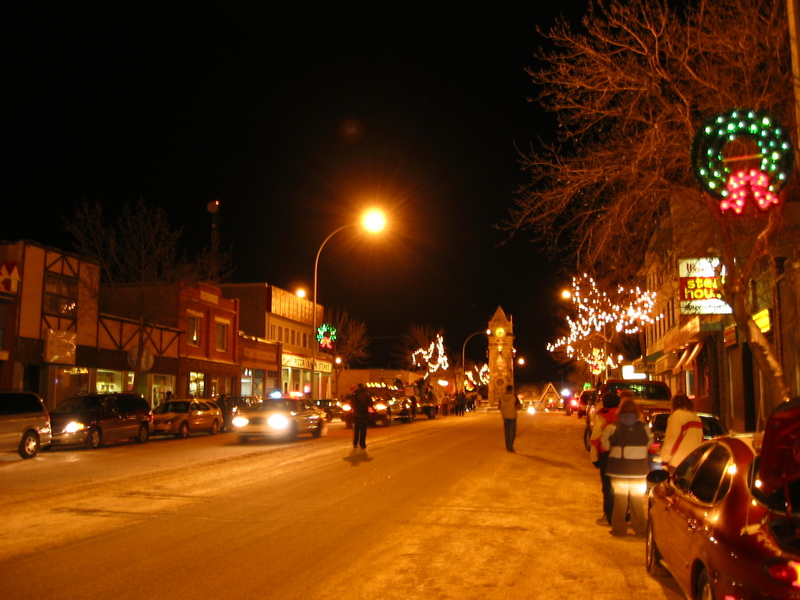 “Wainwright has the classic Alberta main street, laid out as an intersection of Main Street and the historic railway line. “The Alberta Main Street Program funded the design of the new streetscape and Matthew’s looking forward to seeing the result. 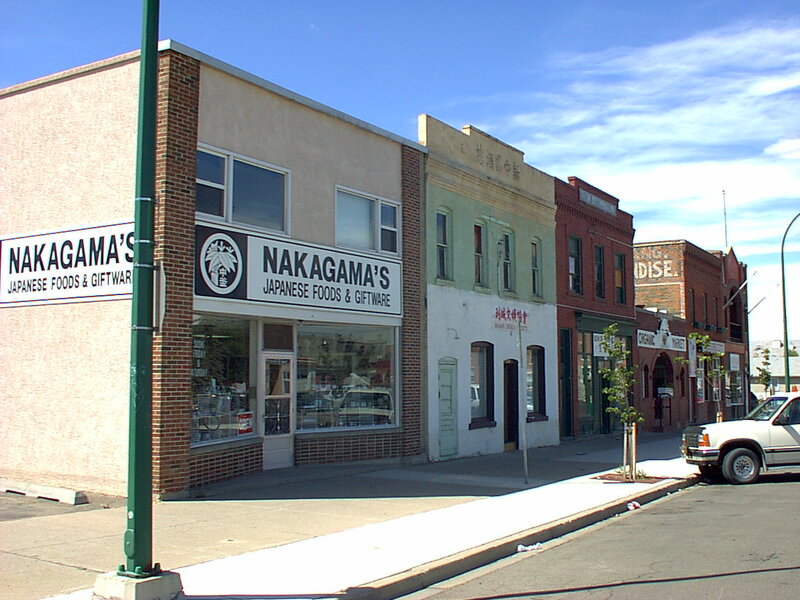 Lethbridge will undertake the conservation of its historic Chinatown. The city council will designate two new Municipal Historic Resources in a few weeks: the Bow on Tong Building and Manie Chinese Opera Society Building. “These buildings were in danger of collapsing, but a grassroots effort led by the Lethbridge Historical Society and the Lethbridge Main Street Program succeeded in stabilising them. The municipal historic resource designations will help to see these special places conserved over the long term,” Matthew says. If you’re interested in conserving historic commercial areas you can contact us, and consider attending the 2014 (U.S.) National Main Streets Conference, May 18-20, 2014. It’s in Detroit, Michigan. Detroit is a great American city. As most know it has been hurt badly by the restructuring in American car manufacturing. Detroit is using the U.S. Main Street Program to revitalise its commercial areas. New Heritage Conservation Advisory Service Areas and Grant Deadlines for 2014! Happy New Year everyone! With 2014 underway, I thought that it would be a good idea to provide a little update on the Heritage Conservation Advisory Services Program. The Heritage Conservation Advisory Services Program provides technical advice and information to the owners or stewards of historic buildings on how best to maintain and conserve their historic resources. A Heritage Conservation Adviser will help you apply the Standards and Guidelines for the Conservation of Historic Places in Canada to your project, regardless of whether or not the building is designated. In addition to providing free conservation advice, Heritage Conservation Advisers develop the recommendations to approve alterations to Provincial Historic Resources or Registered Historic Resources on behalf of the Minister of Culture. Owners of Registered or Provincial Historic Resources need ministerial permission, under the Historical Resources Act, before altering or repairing their property. Municipal Historic Resources require the permission of their municipality. Please take a look at the attached map. 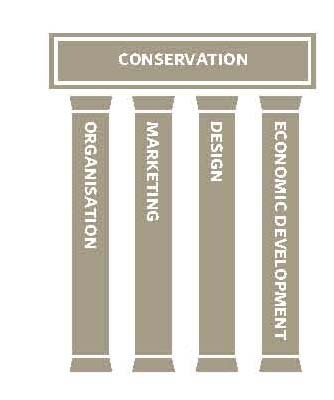 We have changed the boundaries of the areas that individual Heritage Conservation Advisers cover. We re-draw the boundaries now and again based on the location of expected or ongoing heritage conservation projects in Alberta so as to try and share our work load equally and consequently serve our clients better. Owners or stewards of municipally or provincially designated historic resources must consult with a Heritage Conservation Adviser before undertaking any work that they intend to seek financial assistance for from the Historic Resource Conservation grant program. This is to ensure that eligibility requirements are met and to advise on the most effective way to take advantage of this program. The Historic Resource Conservation grant program is operated by the Alberta Historical Resources Foundation’s Heritage Preservation Partnership Program. The next application deadline for eligible conservation projects is Monday February 3rd, 2014. The Foundation will award a second batch of grants this fall. The deadline for applications for the fall grant cycle is Tuesday September 2nd, 2014. Please do not hesitate to contact the Heritage Conservation Adviser for your area with any questions. We will do everything possible to help you, the owner or steward of a piece of our built heritage, to make the most out of your historic place. It is always our pleasure to hear from you. Reminder: Take our Survey; Win a Prize. You may recall that Municipal Heritage Services is conducting a survey. The survey closes on January 15th. We would like everyone who has attended one of our Municipal Heritage Forums to participate. If you haven’t already done so, please take our survey. Everyone who completes the survey will be entered in a draw to win a 2014 Family Annual Pass to visit Alberta’s Provincial Historic Sites, interpretive centres and museums. If you have further comments or questions, feel free to email us at albertahistoricplaces [at] gov [dot] ab [dot] ca .